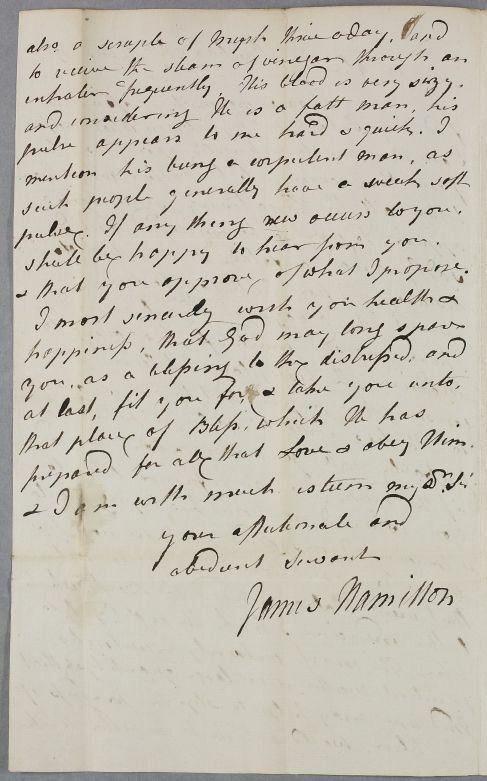 Letter from James Hamilton, concerning the ongoing case of Mr Drysdale, whom he describes as 'fat' and 'corpulent'. Drysdale has agreed to sail to London, but Hamilton recommends Madeira. 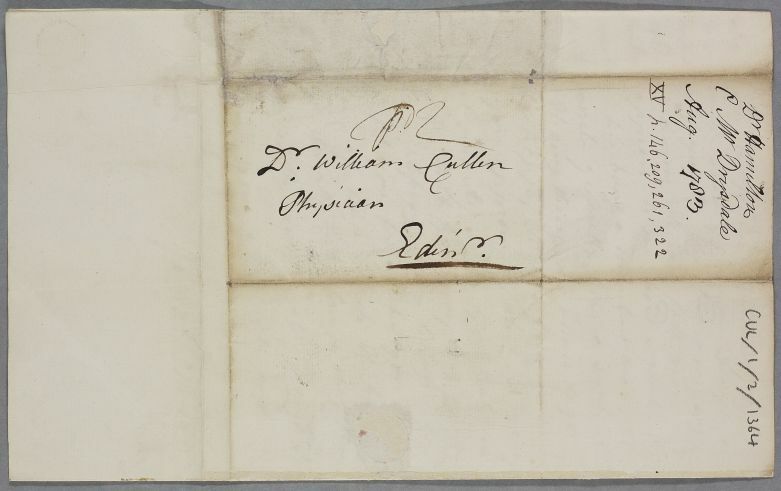 He closes with a religious message to Cullen, 'that God may long spare you' and 'at last, fit you for, & take you unto that place of Bliss, which He has prepared for all that Love & obey Him'. 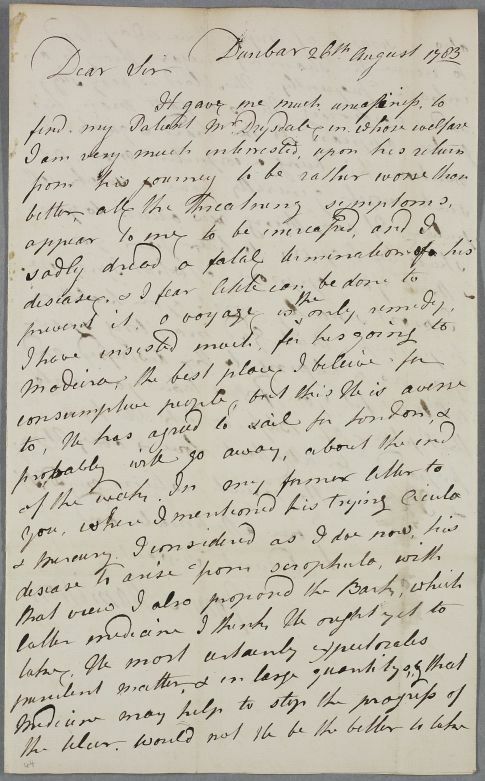 Summary Letter from James Hamilton, concerning the ongoing case of Mr Drysdale, whom he describes as 'fat' and 'corpulent'. Drysdale has agreed to sail to London, but Hamilton recommends Madeira. He closes with a religious message to Cullen, 'that God may long spare you' and 'at last, fit you for, & take you unto that place of Bliss, which He has prepared for all that Love & obey Him'. & that you approve of what I propose. prepared for all that Love & obey Him.